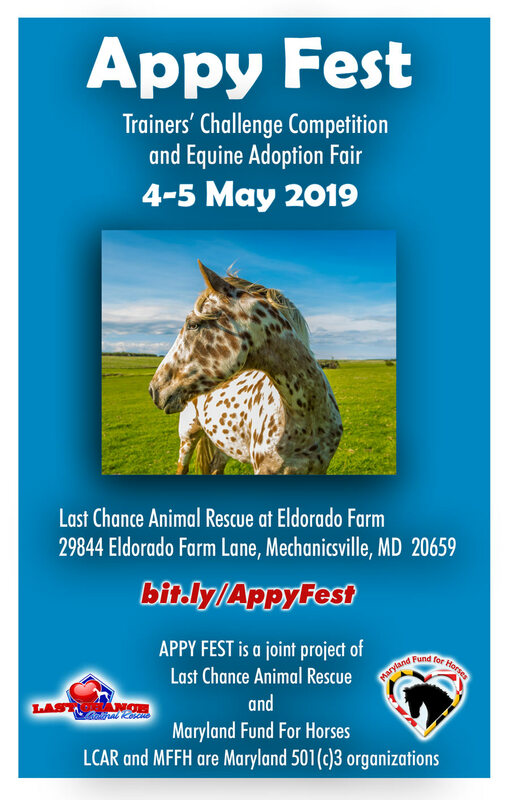 APPY FEST was conceived as a novel way to prepare rescue horses for adoption, and to place them in suitable homes. In 2018, Maryland Fund For Horses partnered with Last Chance Animal Rescue (LCAR) during the notorious seizure of 109 starved, feral horses in Wicomico County. LCAR rescued 33 of the horses – including 19 stallions and several pregnant mares – at their Eldorado Farm facility. Maryland Fund For Horses funded castration of the stallions, microchipping for all of the horses, and worked with LCAR to develop a plan for retraining and rehoming them. The plan included launching a Trainers’ Challenge, recruiting and compensating professional trainers, and promoting the APPY FEST event as a way to connect horse lovers with the trainers and horses. People interested in horses and horse ownership. At our event, attendees will be looking to adopt horses and to purchase products that relate to their lifestyle with horses. Wondering if “horse people” are a desirable marketing demographic? that’s 15.6 horses per square mile! In APPY FEST’s inaugural event last year we had roughly 200 attendees per day and received press and television coverage; this year we expect to double the number of people to whom you can market your business’ goods and services. We placed 15 horses in two days. At this year’s two-day event we will be hosting a Kentucky Derby viewing party with live entertainment, and the opportunity to extend exhibit and shopping hours into Saturday evening. There are many ways to incorporate and showcase your products and services at APPY FEST and to integrate your brand into our attendees’ experience! Please contact us at sponsors@mdfundforhorses.org to discuss what you would like to accomplish with a sponsorship, and how we can work together to promote your products and build brand recognition at APPY FEST.